Outdoor work calls for slightly different hand protection than indoor work, so it's important to always make sure the gloves you are choosing will shield you from a range of hazards, including dirt. The Uvex Unidur 6649 Cut Resistant Gloves feature a polyurethane coating on the palms and fingertips that protects against the infiltration of dirt, helping you keep your hands clean and comfortable even during outdoor use. 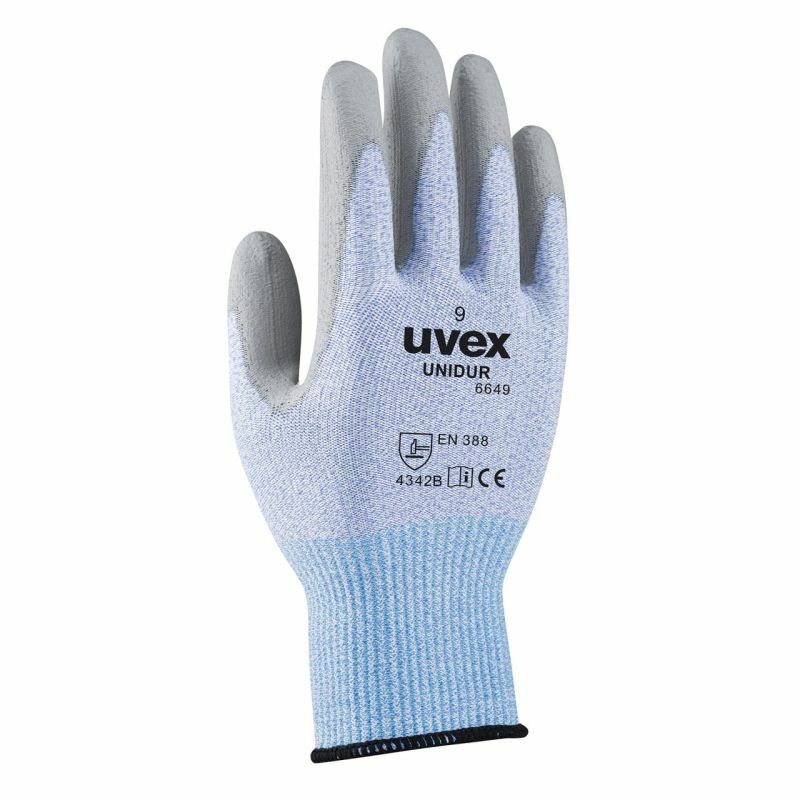 The Uvex Unidur 6649 Cut Resistant Gloves are available in five sizes that should suit the hands of most users. Please measure the circumference of your hand around the knuckles (excluding the thumb) with your hand open and your fingers together, and the length of your hand from the tip of your middle finger to your wrist.